​Registration is now open for the 2018-19 skating year! ​Come and join the fun with skating lessons for every skill level. From beginner CanSkaters to competitive figure skaters, you'll get high quality professional coaching and become part of a close-knit family. Click below to review instructions before you use our online registration portal. It is very easy to use, once you read these simple tips and notes. Click on the form below, fill it out and bring it to one of our registration nights, along with your payment. 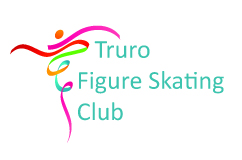 Cash or cheques payable to Truro Figure Skating Club. Need ﻿financia﻿l assistance for registration and related fees? KidSport and/or the Jumpstart program might be able to help.